Three of Australia’s largest digital publishers, Fairfax Media, News Corp Australia and Nine have come together to explore the creation of an Australian anonymised digital identity co-operative, that will enable marketers to more effectively target their audiences at scale across all three publishers using authenticated user IDs. The co-operative would bring together and leverage the combined identity assets of each of these major content publishers, across a combined audience reach of more than 15 million Australians (Nielsen Consumer & MediaView). Following an initial planning and consultation stage, the new co-operative would look to launch in the first half of 2018 and will enable marketers to engage in people-based marketing at scale across Australian digital properties. “Fairfax is pleased to be supporting this initiative, which we believe will streamline the way marketers can leverage a depth of quality data from content publishers to maximise results from advertising” said Chris Janz Fairfax Media Managing Director of Australian Metro Publishing. “Collaboration between publishers aimed at providing advertisers the opportunity to move beyond cookies and target identities just makes sense” said Nicole Sheffield News Corp Australia’s Chief Digital Officer. 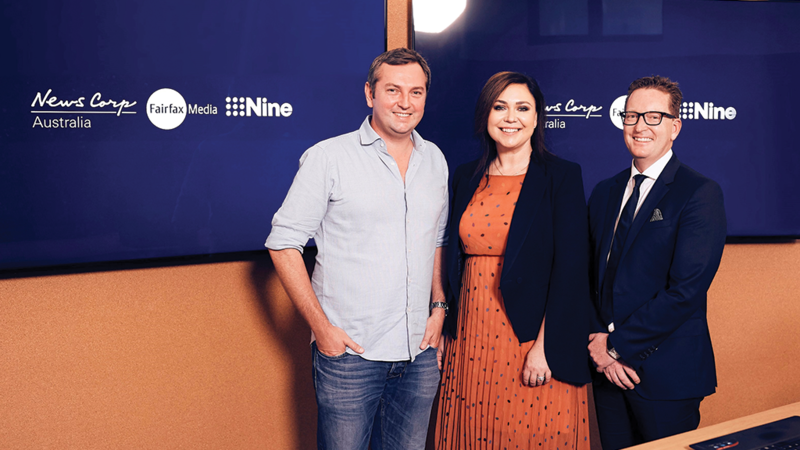 “As Australian content creators it’s incumbent on us more than ever to ensure our audiences, data, content and now identity are being properly harnessed for marketers by Australians." At present the three parties have signed a memorandum of understanding to explore the development and launch of the co-operative in 2018. The parties recognise the importance of scale in delivering a compelling addressability product, which will be designed with improved marketing effectiveness, consumer privacy and customer experience at its core.